Compared to final clubs, Greek organizations endured relatively little administrative pressure to update their membership policies this year. In the wake of the policy, members of Greek organizations have been particularly critical of the move. “As we noted Friday, change is difficult and is often met initially by opposition. That was certainly true with past steps to remove gender barriers at Harvard, yet few today would reverse those then-controversial decisions,” Dane added. 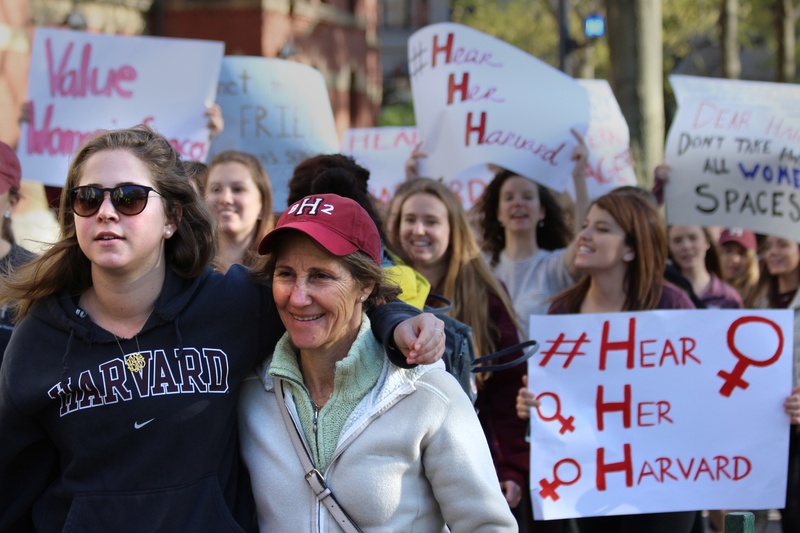 “We continue to believe that gender discrimination has no place on Harvard’s campus. At the same time, we support the right of every community member to express their views." 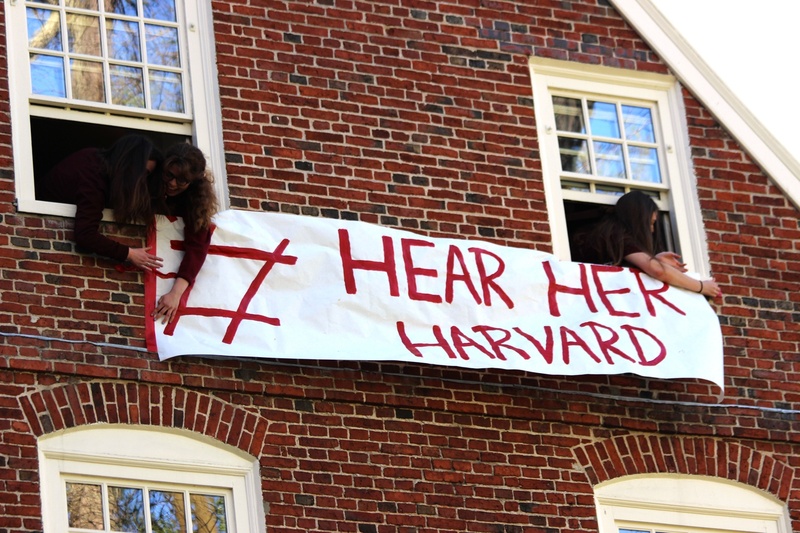 Supporters of single-gender organizations hang a Hear Her Harvard sign on Massachusetts Hall. Ramos kicked off the event, emphasizing that speeches came “from individuals, not from any particular organization,” as one woman used a hockey stick to secure a banner with the phrase “#HearHerHarvard” from the upper floor of Massachusetts Hall. Several sorority members, beholden to restrictions from national parents organizations, declined to comment. 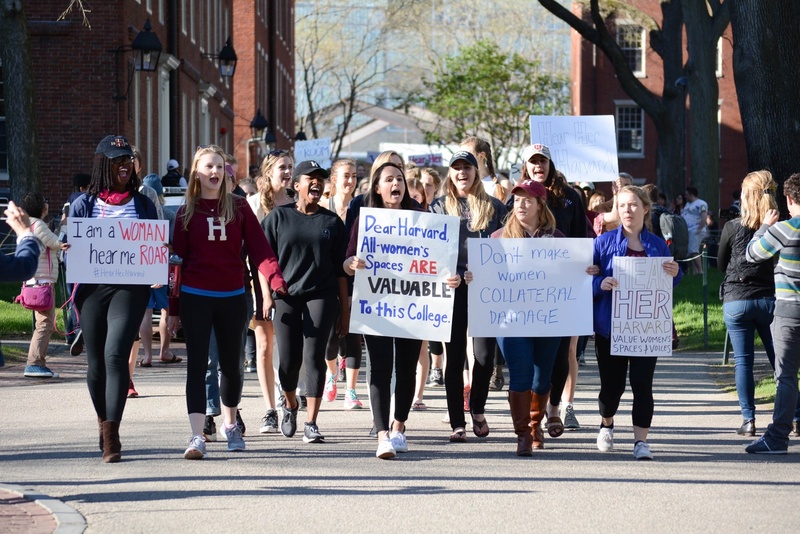 Eck also said “some of these clubs are not in keeping with the Harvard that has emerged over the last 50 years” though she added said that, in her opinion, women’s clubs were not among them. Ramos said she hoped the rally would spur further meetings with administrators before the end of the week. 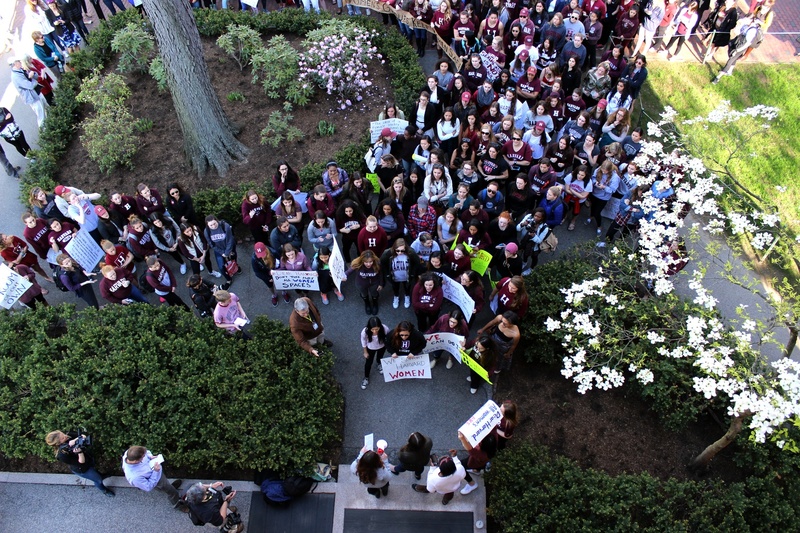 “We want the College to return to the drawing board and create policy that acknowledges the necessity of women’s spaces on campus,” the Crimson Women’s Coalition wrote in a statement notifying journalists of the rally.